A trio of ex-Apple engineers launched a new company out of stealth mode on Tuesday — it’s called Pearl, and it makes tech for your car. Fifty out of Pearl’s 70 employees used to work at Apple. But instead of focusing on building a new kind of car, like Apple and so many other companies are reportedly doing, Pearl is focused on creating high-end technology all cars can use. Here’s what Pearl’s first product looks like. 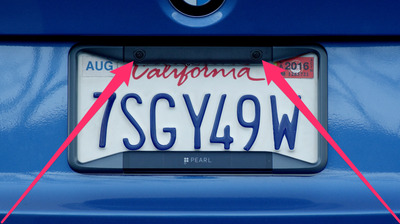 Pearl's first product is a weatherproof backup camera and alert system that you install as a typical licence plate frame. It looks pretty easy to install. Pearl says it only takes a screwdriver and a couple of minutes. 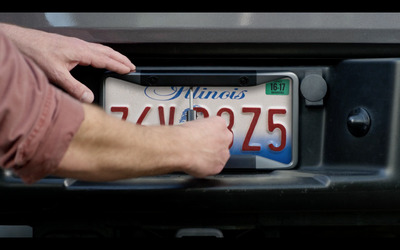 Pearl says its easy installation is one of the key aspects that sets this product, called 'RearVision,' apart from similar rearview camera systems. The bottom of the frame, interestingly enough, has solar panels -- so the two high-definition cameras power themselves, basically. 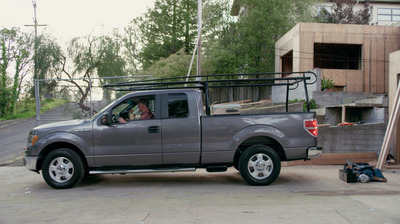 Once it's in place, it will automatically live stream footage to your smartphone. 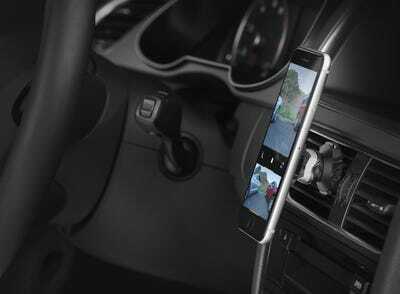 Pearl provides a magnetic mount for your iPhone or Android smartphone, which hooks to your vent or dash. 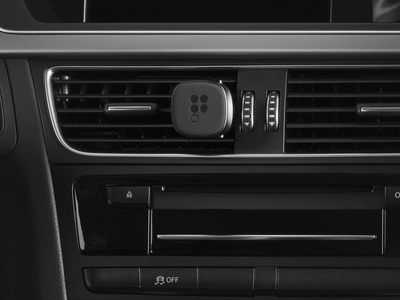 Pearl provides an adaptor that plugs into your car's on-board diagnostics (OBD) port, which connects the cameras on your licence plate to the Pearl app on your phone. 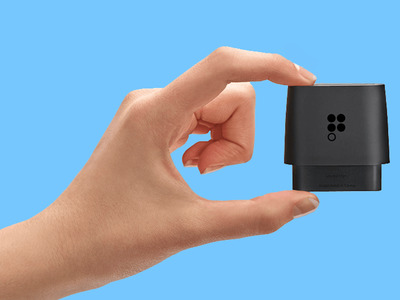 The adaptor is also responsible for analysing the video streams to detect obstacles in your path, as well as providing audio and visual alerts to your phone. 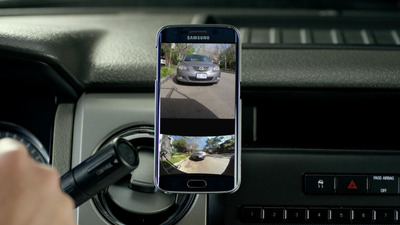 All together, these components essentially turn your phone into a backup camera. You can switch from normal to super-wide views so you can pan left and right around corners. 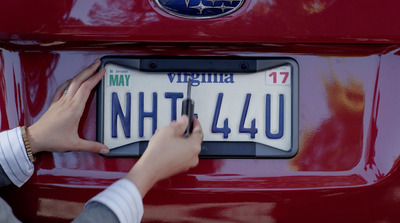 Having a backup camera is vital. 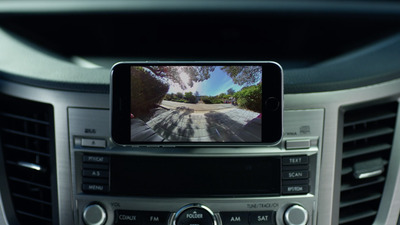 In fact, he National Highway Traffic Safety Administration recently mandated that all new cars must have rearview cameras by May 2018. 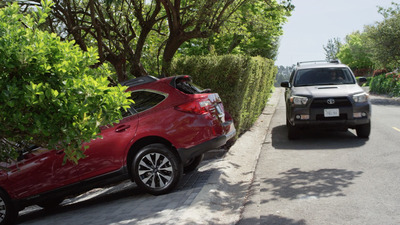 The camera will also alert you through your phone's speaker system when you're getting too close to an obstacle while backing up. This technology can save your life. 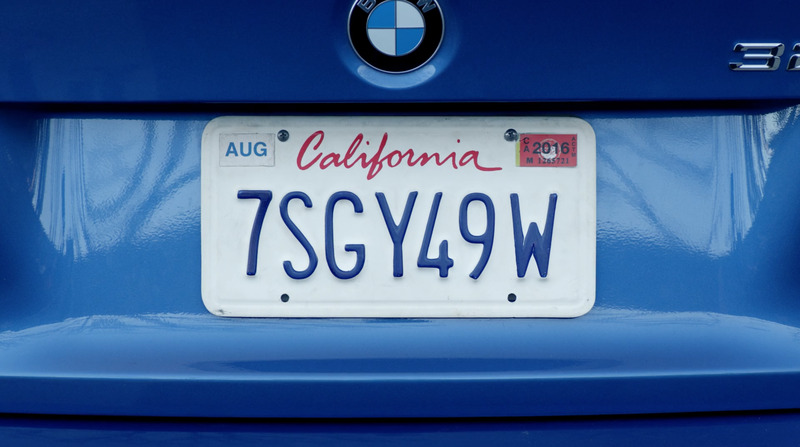 And it's particularly important to consider if you don't have this kind of tech already and if you're not looking to buy a new car anytime soon. 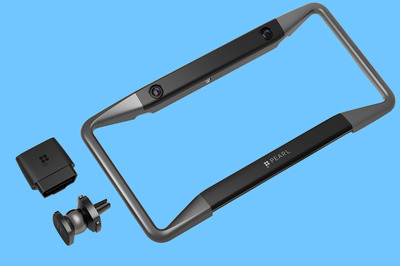 Pearl's RearVision system costs $499 and ships in September. You can preorder one here right now. This is just the first of many car products Pearl plans to produce. We look forward to seeing what else these ex-Apple engineers have up their sleeves. 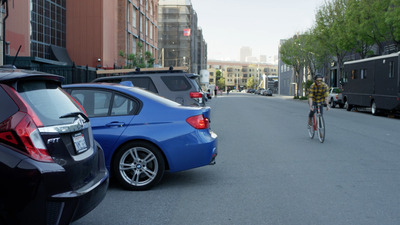 For now, check out the video to see how RearVision works.